Day-To-Day Duties: How Commercial Property Managers Can Help Your Investment Thrive! | Toronto Property Management Company - Mareka Properties (2000) Ltd. Investing is the new hustle! More and more people are finding themselves making investments to garner more income on the side of their day-to-day jobs. These investments can range from stocks to commercial property to startups; with each investment boasting different benefits and risk levels. Investing in real estate has become quite prevalent, especially in major cities such as Toronto, that are in extremely high demand for living. Condominiums, specifically, are seeing more and more investment opportunities and for good reason – the returns can be quite high provided property is managed properly and tenants remain happy and cared for. 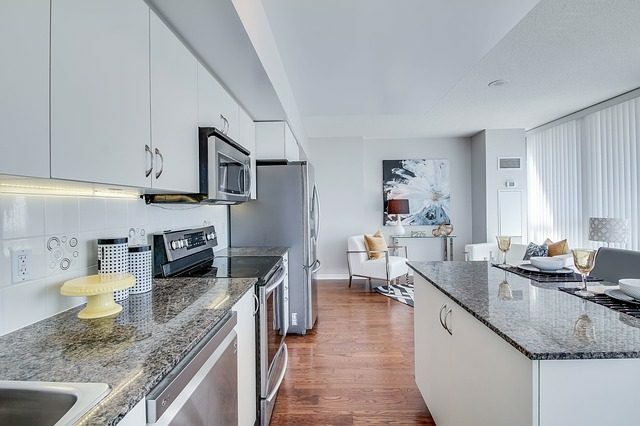 If you’re looking to invest in a North York condominium, having a property management company by your side will help ensure you get the most bang for your buck in the long run. What is the role of a commercial property management company? For some investments, the notion “set it and forget it” can apply for periods of time, however, investing in a condominium or rental property requires a high-level of involvement. For some, the involvement is feasible, but for others, however, there is simply not enough time in their day-to-day lives to put in the allotted amount of duties required. This is where a commercial property management company can help. Commercial property managers oversee day-to-day operations and duties on the investment property. All-in-all, commercial property managers ensure the property and the tenants within are taken care of on a regular basis when the investor is not able to commit to a plethora of duties at hand. What are the responsibilities of a property management company? Commercial property management companies play a large role in ensuring your investment in real estate pays off. Their main goals are, not only bringing in new tenants to generate more profits but ensuring existing tenants are content and safe. Rent/Lease responsibilities – property management companies oversee rent/lease responsibility from beginning to end. Duties in this realm include; collecting rent payments from tenants (via in person or an implemented system), ensuring rent payments are received in a timely manner, any adjustments to rent costs, and negotiating new lease agreements. Maintenance and repairs – property managers ensure that your investment property is in a safe and habitable condition for current and future tenants. Duties in this realm include; handling requests for repairs, regularly scheduled maintenance, a protocol for emergency repairs, regular safety inspections, and possessing a large network of various individuals who can aid with said repairs and maintenance. Taxes – property managers can aid property owners in understanding how filing taxes for an investment property is done and can aid step-by-step with the process. Property managers can also file the taxes for the property, themselves, if needed. Tenant responsibilities – property managers put a huge focus on tenants as they are the defining source of profit for property owners. Duties in this realm include; finding new tenants with vacancies are available, screening potential tenants to ensure they meet the necessary requirements, handling any complaints/concerns, negotiating new lease agreements as well as move outs, and handling evictions if ever required. Legal matters – property managers are required to have a vast knowledge of landlord-tenant laws. This is to ensure that any matters that must be dealt with in conjunction with the legal system are done so properly. Property managers also relay this information to new tenants upon signing an agreement to ensure there are no miscommunications down the road. When it comes to any type of investment, protection is an important aspect. If you are considering investing in a condo/rental property, you want to ensure your investment is well worth it, ergo, protecting and maintaining it, by all means, necessary is imperative. Property management companies, such as ourselves, understand the significance of the investments and the potential income they can bring, thus, we want to ensure day-to-day operations run smoothly. Another key aspect that property managers possess is flexibility. It’s impossible to be in two places at once. If you have a day job and/or other commitments, it can be difficult to put maximum effort into your investment. Property managers help alleviate the stress of day-to-day operations that may not be plausible for your schedule. They can ensure that no matter where you are, your property and tenants are taken care of. The demand for condo/rental properties continues to thrive, and thus, the opportunity for investment in this realm continues to grow. With the right property to suit your investment needs and a property management team by your side, your potential in real estate is limitless. Looking to invest in a condo/rental property, but require help with the day-to-day tasks? We are here to help! Contact us today for more information on how we can help you turn your investment into a profit!